Though you may think of an ear infection as a common childhood problem, they’re anything but normal. Antibiotics. They can be effective for some bacterial infections, but many ear infections are viral, against which antibiotics can’t work. Tubes. Artificial drainage tubes are surgically implanted while your child is under risky anesthesia. Even then, the tubes may come out. Many parents are choosing the more conservative approach of chiropractic care. To begin with, we’ll perform a thorough examination that locates areas of nerve disturbance that are making your child prone to ear infections. Then, we can make specific corrections so that their body can use its natural abilities to fight the infection. If their healing capacity is impaired, it’s a sign of something that isn’t working in the body. We begin by looking at the nervous system. It may surprise you to learn that the nerves responsible for the control, regulation and monitoring of the ear start from the brain stem, then continue to the spinal cord and exit the bones that make up the spinal column. A change in the upper neck bones, then, may compromise the brain’s ability to send and receive nerve signals. In turn, any organ or tissue in the body can be affected. In this case, it’s the ear, unable to fight off an infection. A compromise in the nerves may be accompanied by abnormal muscle tension around the spine. These muscles are attempting to protect your spine from further damage, but their spasms can exert pressure on the lymphatic drainage ducts located nearby. The natural drainage that should occur is unable to, which compounds the problem. We use a simple approach. When you bring your child in, we emphasize the importance of finding distortions in the upper part of the spine. If we detect nerve tension, it will be gently reduced with natural, safe chiropractic techniques to restore the integrity of their nervous system. A child or infant requires a simple, light touch with the fingertips. We’ll explain everything in advance to you so that you feel comfortable getting started. 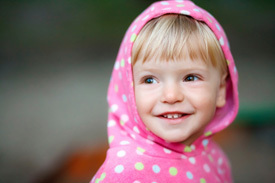 Find out more about ear infections Grand Forks. Contact Paragon Chiropractic & Wellness Center today to schedule your child’s first appointment!